Writing usefully about philanthropy is very hard. Since I left my former position, many times I’ve sat down to apply what I learned in my eighteen years in the field to current goings on and each time I’ve been stymied. 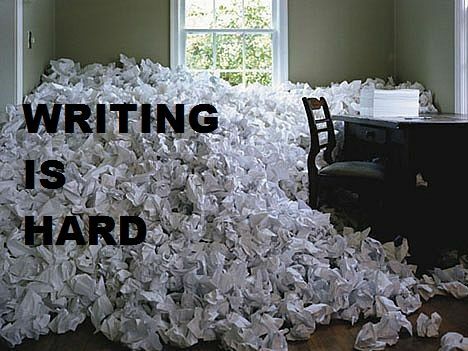 ‎ Writing from the outside (especially while job hunting) really drives home the power differential in a visceral way. Saying meaningful things about the work of powerful and mysterious foundations is scary. This is especially true because it’s hard to get enough information to have an informed view. Few funders make grant proposals easily available, much less the internal documents that would explain the strategies, issues, and broader context as seen by the funder. If I wanted to critique or praise a particular grant, I would have a very hard time in doing it in a knowledgeable and productive way, even after only five months out of the business. I understand better now why we had such a hard time getting our grantee community at The John A. Hartford Foundation to engage with us when we started our blog, Health AGEnda. What could they say that wouldn’t be obsequious or potentially dangerous? The “Wow that’s a BIG . . . grant” story. The knee-jerk “I hate this grant” (because ignores my issue), which at least has the virtue of showing courage, if not usually much insight. And finally, the look back in sadness/anger, when results have failed to materialize. Despite a few bright lights from the rigorously empirical and well-informed, such as the Center for Effective Philanthropy and Grantmakers for Effective Organizations, most of what’s written about grants and grantmaking just doesn’t get at the key questions about how grantmakers and grantseekers can do better together to solve our urgent social problems. But if we are going to cut back on long-after-the-fact stories of missing results, we have to be able to talk about specific projects and grantmaking process. In the next few weeks, I’m going screw up my courage to the sticking point and try to take on some issues in philanthropy, such as sustainability, strategy, and partnership.